If you’re feeling nostalgic about the single-use cameras, now you can bring that feeling back, but on your smartphone. 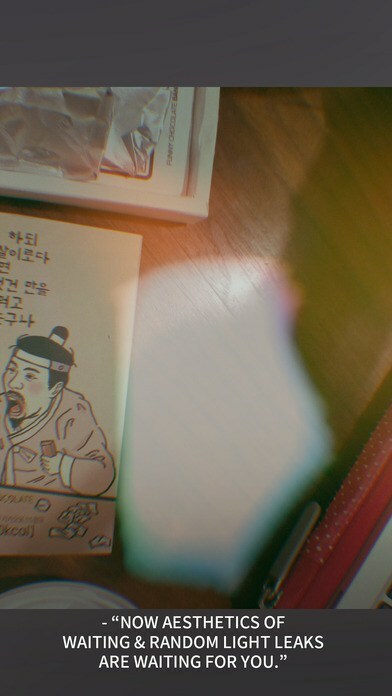 Korean startup Screw Bar has developed an app that turns your iPhone into a disposable camera. First of all, it seems really fun to use. And second, it has surprisingly many features that will bring back the familiar feeling of both the thrill and the frustration of taking photos with a disposable camera. The name is a blend of an old Korean term “Gudagdali” (meaning “outdated”) and, as you can guess, “Kodak.” The goal of the app is to focus on “Kodak moment” and make us cherish the special moments more, and care more about what we want to capture and preserve. When you’re done with shooting your “roll,” there comes another familiar feeling of shooting with disposable cameras – the film goes to “the lab,” and you have to wait for three days until it’s processed. Oh, I still remember that mixed feeling of thrill, anticipation, and frustration. When you get the photos back, the app also has another nice (and very realistic) touch – there can be some random light leaks in the photos. Before you start with a new roll, you’ll have to wait for 12 hours, which is another reason to carefully select what you want to shoot. 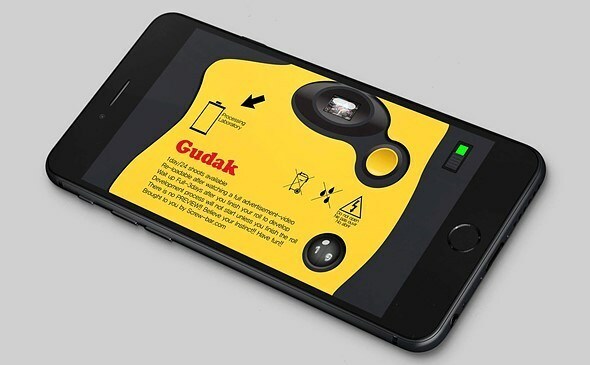 Although turning a pricey iPhone into a cheap disposable camera sounds ridiculous – I’m dying to try it. My ancient phone doesn’t make much better shots anyway, and this could be really fun, at least until I get bored. Unfortunately for the Android users (like myself), for now, there is only an iOS app available in the Apple Store. There is no information about the Android version, and the one for iOS is $0.99, which sounds reasonable. but, if the Android version is launched, we’ll keep you updated. And I’ll certainly install it on my phone. So, are you downloading it? Or it’s just too ridiculous for you? As useful as a pet rock. Just don’t throw out the phone after use. The people who created that hipstermatic app did something like this years ago and it never caught on BECAUSE IT’S STUPID. Or you just go to the drugstore an dbuy an actual disposable camera. Yes, they still do them.